This field of dreams is a literal carpet of California poppies (Eschscholzia californica) on the hillsides above Lake Hodges in Del Dios, California. In October this hill was ablaze with the Witch Creek wildfire, one of the worst fires southern California has experienced. 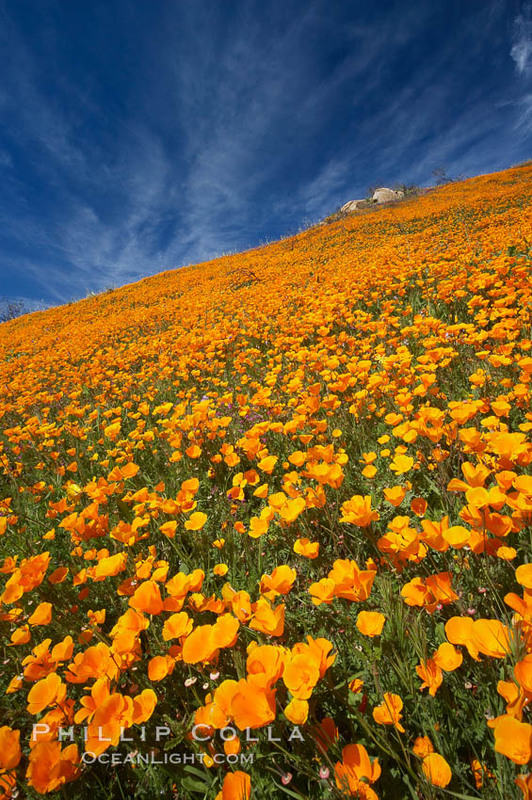 Five months later it is ablaze again with the wild orange and yellow hues of California poppies. Stunning.